Machu Picchu (in hispanicized spelling, Spanish pronunciation: [ˈmatʃu ˈpiktʃu]) or Machu Pikchu (Quechua machu old, old person, pikchu peak; mountain or prominence with a broad base that ends in sharp peaks, "old peak", pronunciation [ˈmɑtʃu ˈpixtʃu]) is a 15th-century Inca citadel situated on a mountain ridge 2,430 metres (7,970 ft) above sea level, located in the Cusco Region, Urubamba Province, Machupicchu District in Peru. The site is located above the Sacred Valley, which is 80 kilometres (50 mi) northwest of Cuzco and through which the Urubamba River flows. Most archaeologists believe that Machu Picchu was built as an estate for the Inca emperor Pachacuti (1438–1472). Often mistakenly referred to as the "Lost City of the Incas" (a title more accurately applied to Vilcabamba), it is the most familiar icon of Inca civilization. The Incas built the estate around 1450 but abandoned it a century later at the time of the Spanish Conquest. Although known locally, it was not known to the Spanish during the colonial period and remained unknown to the outside world until being brought to international attention in 1911 by the American historian Hiram Bingham. Machu Picchu was built in the classical Inca style, with polished dry-stone walls. Its three primary structures are the Inti Watana, the Temple of the Sun, and the Room of the Three Windows. Most of the outlying buildings have been reconstructed in order to give tourists a better idea of what the structures originally looked like. 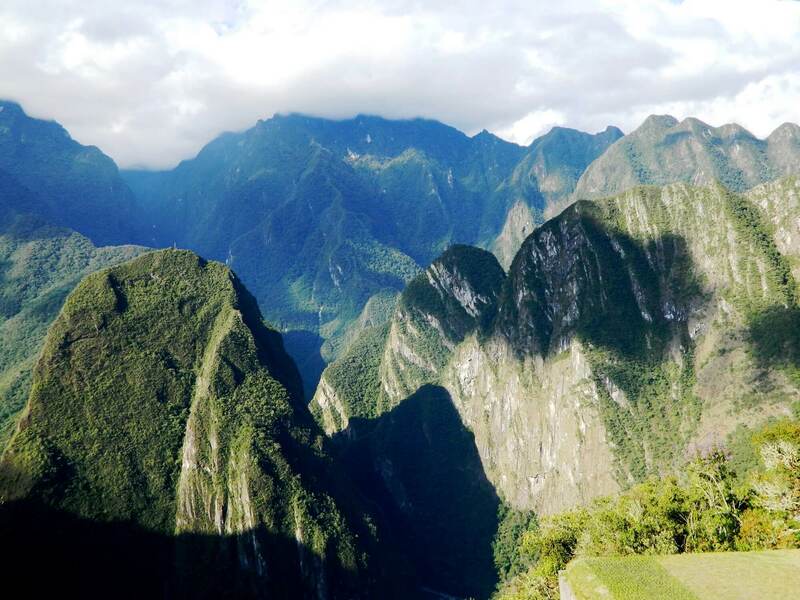 By 1976, thirty percent of Machu Picchu had been restored, and restoration continues today. The Paracas Peninsula is a desert peninsula within the boundaries of the Paracas National Reservation, a marine reserve which extends south along the coast. The only marine reserve in Peru, it is a designated UNESCO World Heritage Site. The peninsula is located within the Paracas District of the Pisco Province in the Ica Region, on the south coast of Peru. This unusual peninsula may be best known for the Paracas Candelabra, a prehistoric geoglyph nearly 600 feet (183 m) tall on the north face of the peninsula ridge. Pottery nearby was dated to 200 BCE, placing it within the Paracas culture. Its origins and purpose have inspired many theories. A shipping port was built along the northern peninsula, where deeper water permits larger transport and cruise ships to anchor. Tourists can have access to the Paracas National Reservation, a large marine reserve, while the ships are protected against ocean waves and currents. The peninsula includes red sand beaches formed from sands eroded from nearby cliffs.